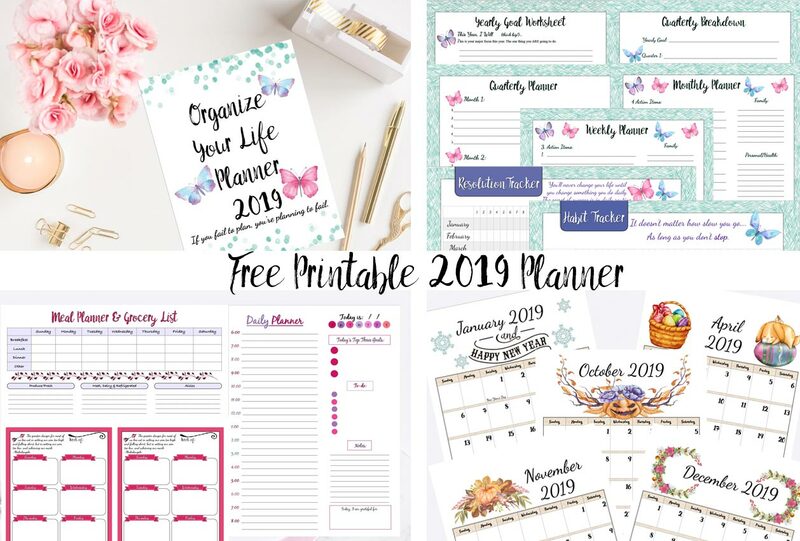 Free Printable 2019 Planner: Goals Planner, 2019 Calendars, & More! Do you want to get organized and reach your goals in 2019? If so, this planner will help you do it! If you think your friends might like this free printable 2019 planner, why don’t you share it? Share buttons at the top of the page! Share on Facebook, Pinterest, Twitter, & more. Want a FREE 2019 Planner? 35+ pages for goal-setting, calendars, meal planners, & more!